Birth palce : Kuthuparamba, India. 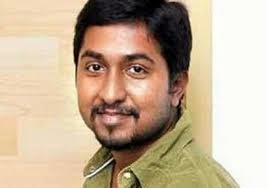 Birth Name : Vineeth Sreenivasan. Weight : 7 6 kg. Mother's Name : Vimala Sreenivasan. Occupation : Playback singer, film actor, director, screenwriter. As Singer : Theerathe Neelunne, Anuraagathin Velayi, Akkare Ninnoru Poonkaatu, Aval Appadi Ontrum Azhagillai, Manya Maha Janangale, Ondu besarada dina, etc. Famous Films : Thattathin Marayathu, Malarvadi Arts Club, Makante Achan, Chappa Kurishu, Om Shanti Oshana, Thira, more. Awards : Asianet Award for Best Male New Face of the Year. 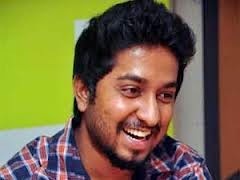 "Vineeth Sreenivasan" is a very wonderful personality throughout his film career he played a tremendous role in all fields such as comedian villan hero drama and also in all types of negative and positive roles. He is very honest to his work. Any of his tremendous films when comes in mind all make us happy sad and proud. All his movies makes him a very huge personality. He always did the full disambiguation with all his roles offered to him. He is also very successfull in both his social and his personal life. His name will remains in golden words always in bollywood history.